Many people fancy the idea of having a Home Stereo System. The reasons are quite visible. These speakers are more convenient to install as compared to standalone speakers or ceiling speakers. We can also not deny the fact that Stereo Systems features an excellent sound quality, and deliver far better results than standalone speakers. These speakers also interfere very less with the interior designing of the room. 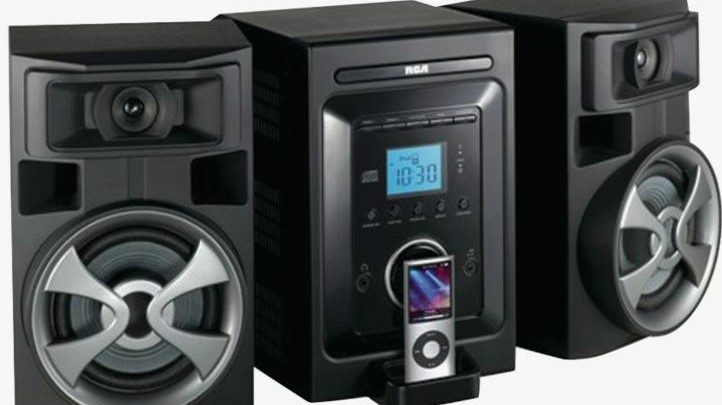 Finding the right Home Stereo System is a task that requires good amount of thoughtful planning. Here is the list of affordable, sturdy and excellent Home Stereo Systems for 2019. If you want to enjoy your favorite music or movies in the best available audio quality, these speakers are the right one for you. You can install these in your bedroom, offices or even dorms. Isn’t that cool? This Home Theatre has compact speakers, and these speakers not only deliver spacious and detailed audio but are also featured as all-in-one desktop speakers. With these speakers, you can play CDs, listen to FM radio, and relax on your couch when some of your favorites keep playing in the background. These speakers support music streaming from your phones as well, via Bluetooth mode. All in all, this is a versatile stereo system that includes stunning features like having a high-performance headphone amplifier which fills your life with rich and dynamic sounds! Here are a few general characteristics of Denon D-M41 Home Theatre. Inspired by the design and features of the superbly successful D-m40, these speakers are a mind-boggling combination of RCD-M41 receiver, and SC-M41 speakers, both of which are exemplary when it comes to their performance. There is an increased sense of performance and value in these speakers. Optimal flexibility is taken care of with integrated Bluetooth features that allow connectivity with all sorts of phones, tablets, and computers. This is more of a simple and straight design, as accepted by Denon engineers. The circuit design has been kept very simple, allowing less intricate designing and hence less interference among the signal paths. Purest possible sound quality has been focused upon, with less or no distortions. The sound quality is sturdy, clear and amazing! Denon’s has come up with the brand new and absolutely superb ‘Triple Noise Reduction Design’/ this design is exactly what a music enthusiast is looking for. It does not only encompass mindful segregation of analog and digital circuits but also focuses on precision signal grounding. In short, sound style and facilitation are all available at one place with this Home Theatre Speakers by Denon. The Brand new amplifier circuit delivers 2x30W, and hence it provides just the right amount of power to the RCD-M41 to function effectively. Personal listening is important for all of us. Hence Denon has made sure we do not miss out on it. A dedicated headphone amp section is made available to enhance our very experience of private listening! High-quality speaker terminal and pre-out feature allow for an active and consistent subwoofer. This Home Stereo System come with wireless remote control, so you can operate effectively without getting bothered by anything. These were some of the general characteristics of these speakers. Let us dive deep and discuss some of its product highlights below! • Simple and straight circuit design, that supports less interference and gives out zero distortions. • Triple Noise Reduction Design is also introduced for signal clarity and transparency. • CD, FM/AM radio and two optical digital inputs are there to help you relish the pleasures of having a wonderful home stereo system. Small size – Appearance, which calls for less space taking in your room. This Home Theatre Mini Amplifier is not only good in how stylish it looks but is also great when it comes to performance quality. It is designed thoughtfully, keeping a lot of demands by the buyers into account. Private listening, Bluetooth and a lot more features are present, as mentioned above. This is the best buy if you want to add some richness to your routine and basic life! Sony is a name that speaks for itself. Millions of people around the world are happy customers of this brand. This brand has one of the most loyal customers around the globe, and this is due to the outstanding and durable sturdiness of their products. Sony Home Stereo speakers have done pretty well in the past as well, but these speakers certainly stand out. This Sony CMT-SBT100B is a micro hi-fi system, with an attached CD player. Additional features like DAB radio, USB and Bluetooth connectivity is also made available to that the customers can have the ultimate hearing experience. With no further wait, I’m here to present to you Sony CMTSBT100 micro music System with Bluetooth and NFC. Its elegant design is simply nostalgic, personally, I am in love with this amazing stereo system. The sound quality is dynamic in nature. The classic design does not mean that the way to operate it is conventional too. Bluetooth feature creates a beautiful combination of classic design and easy to operate feature. AAT and apt – X is also available. You can also use one-touch NFC facility to listen. We will not stop here. Let us talk about some of this Stereo System’s basic features. Battery 2 AA batteries required. Based on some of its most credible reviews, we present to you a few of this product’s pros and Cons. Let us discuss some advantages of these speakers first. Timer feature comes in handy. Usb port helps to play downloaded data. The sound quality is very clear. The Classic design gives the room a beautiful look. Not huge neither too small just the right size needed. People who are looking for low-frequency loudspeakers find these speakers not too interesting. Connecting the set can be an issue because wire placement into the right port can be a confusing task. No docks are available for iPhone. 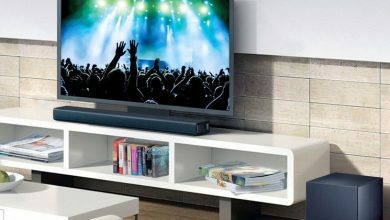 This Sony CMT-SBT100 micro music system makes you feel very pleased with its functions and presentation. Liberally designed with a modest set up it offers decent, clear sound and easy procedures through an accessible remote or with its low profile push button interface on the receiver. This Home Stereo System can pull of your favorite FM radio stations better than my almost any other receiver you might be having. iPhone set up is a snap for iTunes and it can also attach via Bluetooth or direct line-in wire to your laptop for healthier streaming of internet radio options available to vastly. Bass boost gives a good punch. The distortions are minimized so your complaints from other speaker brands do not apply to Sony, clearly achieving a lot in this field.. In short, the distortions are minimized. A low-cost, full-proof sound system that sounds and achieves way enhanced than most macros I have heard. Another well-made product from Sony. Tired of finding sockets to place your speakers? Is switching from song to song getting a little too monotonous? What if I told you that the speakers I’m going to talk about, simply wait for you to command verbally any function you desire? I present to you The Bose Sound Touch 30 wireless speakers work with Alexa, Black.
. The audio formats include AAC, Apple Lossless, WMA and MP3 too. Bose hasn’t produced wireless speakers as strong as these. Its inbuilt waveguide technology boosts it with enough power to fill large rooms with deep clear sound. Wondering about the connectivity stats? Don’t worry because this user-friendly speaker has some interesting features that make it stand out among all the rest of speakers which are difficult to operate. These speakers work with Bluetooth using services like Amazon music, Spotify internet radio station, and even downloaded songs plus they can be connected with wifi too. With Remote:4.5 H x 1.75 W x 0.5 D inches, feature six has like a list of your most played song, podcasts, most tuned stations all displayed onto an Oled screen along with current time and various other information. These beautiful Home Stereo System is available in a list of various sizes with wireless network compatibility up to 802.11 b/g/n. The voice control feature will take your music adventure to a whole another level of ease and comfort. With dimensions: System:9.7″ H x 17.1″ W x 7.1″ D (25.75 lbs). When working with a large number of options and the task of selecting a single file out of thousands of other similar files and radio stations the whole experience somehow gets slow and time-consuming and to further emphasize onto stagnancy power sockets come into play. Boss decided not to compromise onto such time absorbing tasks for their customers and blended two very important things to counter this problem, portability and voice recognition. They did so by introducing the voice command feature. Using devices hooked with Alexa and to make with even more of a travel adventurous gadget boss made these powerful tools wireless. The reason why I called them powerful is due to their new waveguide technology which helps them generate strong and clear signals which truly becomes a sensational experience to the users. Now since these speakers are hooked with Alexa you could be working in your backyard and you could turn the volume up or down and various other functions like changing stations or songs with so much ease and comfort. 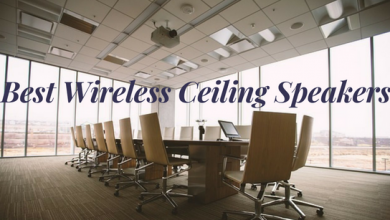 Furthermore, if you’re still unsatisfied with the power or planning to power up a hall for an upcoming event, what you can do is that you can add more speakers to the set up to your desired power level and requirement, sounds cool doesn’t it? This customizing option gives the user free space to decide and truly fulfill their needs. Following are a few basic features of this product. Power Consumption Better than majority of brands. The remote feature saves a lot of time. With the new voice, feature maneuvering has completely gone to a new level of ease and comfort. The fact that more speakers could be attached to the family adds to the music power experience. The crisp clear sound makes it simply a vocal adventure. The survey does say that users facing complications setting up the device. Overall these speakers are simply one the best speakers in terms of its cost, sound quality and voice control feature. It has wide range of flexibility in terms of operating and maneuvering these speakers. These speakers also prove to be really economical because the power consumption of these speakers is comparatively low than others of the same criteria. The brand new waveguide technology is not only worth a mention but is literally working superbly! Engineers knew exactly what they were doing when designing and executing their brilliant work with these Home Stereo Systems. These speakers are hooked with Alexa and that is the perfect way to be! In this age of electronics, companies are working day in and out to bring a strong amount of realism to their product. The closer to reality their product gets the better it is. When talking about our conventional home speakers, from the past many years the basic function and design remain the same with just a few upgrades to the power and sound quality. Nakamichi broke this monotonous pattern and introduced the all-new NakamichiShockware pro 7.1Ch DTS:X sound pattern. With this new feature, the realm of music and movies transforms closer to reality. Personally, I am in love with this amazing home stereo system. COOL SOUND FEATURES INCLUDE Dolby Atmos, TrueHD, Dolby Digital Plus, Dolby Vision and the rare spatial elevation (SSE) Enhancement technology. Unlike the other similar time-consuming devices, the Shockwave pro 7.1 efficiently fills up your room with 3d sound. The 3d effect gives your living room a theatre effect, so watching movie becomes an adventure right inside your home. The sound waves travel in all directions producing clear crisp director cut effect. The 8” wireless down-firing subwoofer produces low-frequency waves giving your room bone chilling shaky effect. This amplifies the wave and takes your sound experience to a whole new level. The 2-way speaker creates a full range sound wave with amazing power and accuracy. The QTYS are now replaced with 7.1 Atmos/DTS-X 2019. Q2 upgrade is also available. The range of upgrades includes DOLBY ATMOS, TrueHD , DD+, DOLBY VISION & NAKAMICHI most advance feature spatial surrounded elevation. SSE technology creates a rare close to real sound experience, something the director truly aims for their viewers. 3 audio processing features add variation to the sound patterns adding options like directionality, creating a spacious and extra effect on the soundtrack. 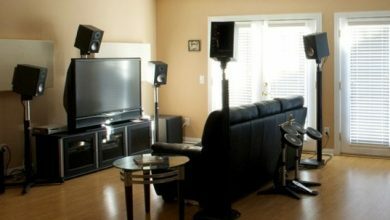 You can fill your room with 7.1.4 channels of epic dynamic sound effect through 105db of sound. Two way rear speakers produce clear and mesmerizing sounds which are highly accurate and precise. In other words, most of the other versions calming to produce such high-quality result don’t stand anywhere near these speakers. Our 2016 shockwave pro produces a 36% wider soundstage. The 3d effect adds to the sound experience. The remote response has not been liked as much by the audience. Besides being stylish and worth it, this speaker is a dynamic duo of performance and durability. The specs are qualified to make thee speakers your best buy and no one can deny this fact. Being highly user-friendly, these speakers offer connectivity via Bluetooth, which is so comforting for people who prefer playing their favorite songs over and over again. The woofers are extremely sturdy and produce a sound so much better than what you all might have experienced before. The extra features such as the 3d effect make this speaker a must buy! Clarity of sound is also ensured by the 2 way rear speakers, perfect for the true metal head! Happy shopping! Well, what is life without a little fun? Fun is what makes life worth living. Since I was a child, I loved dressing up and throwing house parties at my place. Of course, the house parties I throw now for my colleagues or old friends are much different than the ones I threw for my tiny little 3-year-old friends back then. Also, as I was growing up, my passion for music kept intensifying. I would dance for hours, locked up in my room and sing at the top of my lungs when no one was listening. Now when I earned enough in life to buy my own place, the first thing I wanted to do after I settled in was, to throw a house party! Oh, I was so excited. I decided the menu, the sort of décor I wanted and the mood of lighting that would complement the décor. As I was finalizing my lists, I thought to myself, ‘something is missing’.. Well, what was it? It was the perfect sound for my party! Yes! But I already have decided the décor for my living room, so I did not want the sort of speakers that would take too much room in my apartment. Someone told me about compact bookshelf Home Stereo Systems and I really liked the idea of it. It meant more sound and less interference with my furniture. What else could I possibly want? Hence, my search for the perfect Home Stereo system began, which was compact enough for me to feel more comfortable with the idea of it. I searched the internet, asked my friends, peers and did everything one possibly does. It is no easy task, let me tell you. Deciding on which product you want o invest your money in. it was not easy for me as well. But at last, all my hard work and dedication paid off. I found my first set of the absolutely perfect Home Stereo System that went perfectly with my needs and demands. Since then, buying and celebrating Home Stereo Systems has been my guilty pleasure. I love experimenting with new sounds and textures. Also with brand new features of different stereo systems. As far as the house party was concerned, it went pretty amazing. Everyone danced like crazy and loved the sound quality. A few of my friends even considered buying the same Home Stereo System for themselves! So this is how I came to know about Home Stereo Systems, and I am all about sharing my experiences and knowledge!